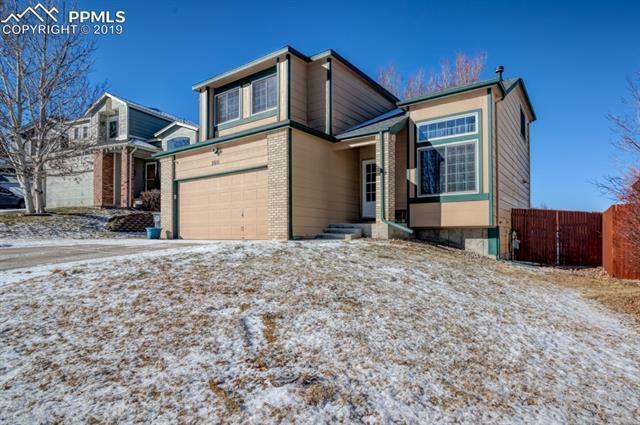 Awesome 2-story home, mountain views, no rear neighbors, clean, and move in ready! 5 bedrooms, 4 bathrooms, AC, Fireplace, Newer Windows and Roof, Huge master bedroom with 5 p bath and master retreat, Finished Basement! Large open kitchen with granite counters, wood floors. Tons of storage and lots of living space! Near Shopping, Schools, Military Bases, and I-25. This home at this price will definitely grab your attention.